This is a pilot’s real story. Let’s call him Mark. He works for a respected British airline. He is one of three pilots sharing the flying during a long transatlantic night crossing to the UK. With his two colleagues sitting up front in the cockpit, Mark is napping in the ‘jump seat’ behind them. A large jet roaring through the darkness across the Atlantic, packed with passengers, and for an unknown period no one on the flight deck was even conscious. But this is very possibly a routine occurrence on British-registered aircraft, supposedly some of the safest in the world. Airline pilots are regarded as the ultimate professionals: competent, diligent and cool under pressure. But they are also human, and when they get tired they fall asleep — even at 550 miles per hour and 38,000ft, with 250 men, women and children on board. Fatigue has become a major issue in civil aviation as airlines seek to squeeze ever more value from aircraft and crews in order to keep ticket prices low and profits high. Pilots who in the 1970s would have flown about 550 hours a year are now flying 850 hours — or more if necessary. 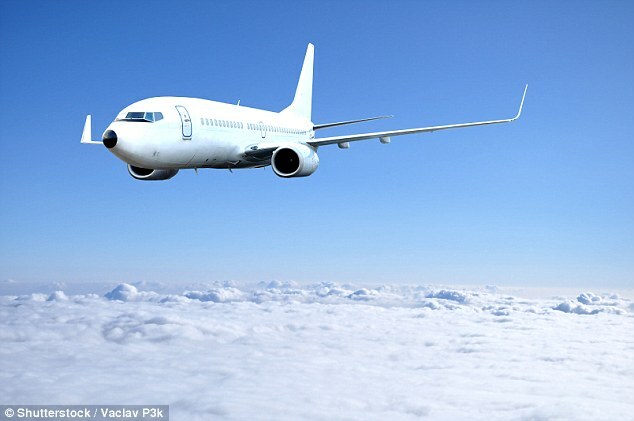 ‘I would estimate that a pilot falls asleep involuntarily on a UK-registered aircraft somewhere in the world every day, if not much more frequently than that,’ says Dr Robert Hunter, head of flight safety at the British Airlines Pilots’ Association BALPA). The strike was called off last month. But the issue of pilots’ fatigue is not going away. 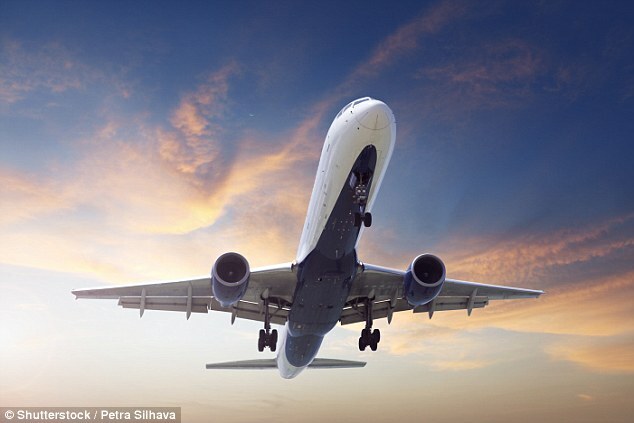 ‘You get to the stage where you can literally fall asleep on the approach to an airport,’ says David Smith, a former senior pilot with British Airways, who retired in 2009 after 35 years’ service. A chilling insight into the issue is provided by a survey of 500 British pilots asking if they had ever fallen asleep involuntarily at the controls. Yes, said 43 per cent. A pilot wakes at 7.30am and starts a stand-by duty at 12 noon. The pilot is called at 3.30pm to report for duty at 5pm. His flying duty finishes with him landing at 4am the following morning, by which time he has been awake for more than 20 hours. A pilot in this situation would experience severe sleepiness similar to having a blood alcohol level more than three times the legal limit for flying. And of those who said yes, a third admitted that, on at least one occasion, they woke to find their co-pilot also asleep. Yet, fatigue, the potential killer lurking in the cockpit, hardly exists in the official mind. How many examples of involuntary sleep on the flight deck have been registered with Britain’s regulator, the Civil Aviation Authority, in the past 30 years? Answer: two. ‘Human beings have poor insight about the moment we go to sleep,’ says Dr Hunter, who qualified as a commercial pilot while practising as a specialist in aviation medicine. Occasionally a light is shone on fatigue during accident investigations. In 2009, a regional flight plunged to earth on its approach to Buffalo airport in the U.S., killing 50 people. Before the flight, both pilots had made gruelling commutes from their homes — the captain from Florida and the co-pilot from Seattle — to their airline’s Newark base. 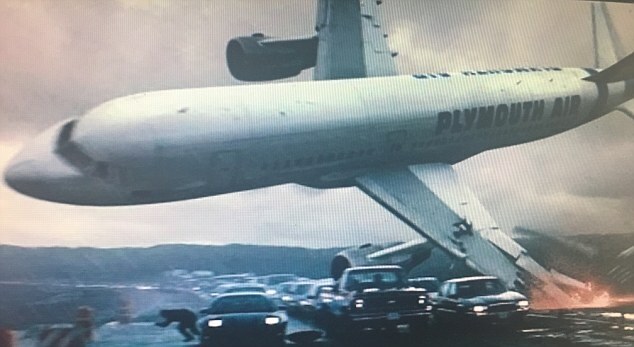 Both could be heard yawning on the cockpit voice recorder before the crash. Investigators blamed their inappropriate response to stall warnings, disagreeing over how much fatigue was a factor. More recently, in 2012, a sleepy pilot on a transatlantic flight had just woken, disorientated, when he mistook the planet Venus for another aircraft and sent his plane into a nosedive, injuring 16 passengers and crew. The unnamed first officer on the Air Canada night flight to Zurich had napped for 75 minutes, longer than the permitted 40, it emerged. Afterwards, Air Canada said it had taken steps to avoid crew fatigue. The reality is that commercial aviation is a tough business, particularly in the budget field. Endlessly tweaked computerised rosters squeeze the most out of pilots while observing the letter of most flight safety regulations — but not the overarching regulation prohibiting fatiguing rosters. Under old British aviation rules, pilots were required to have two days off in every 14. Now, under Europe-wide rules introduced in February, pilots are required to have a minimum of just one day off in every 14. Theoretically, there is a 14-hour limit per day, including flying and ground duties. But this can be extended by something called ‘captain’s discretion’. This allows the pilot to extend his or her day by an additional hour if a flight is disrupted and he or she feels able to continue — and there are companies that expect their crews to use this ‘discretion’. Overtime pay is unusual. Young pilots in particular are vulnerable to demands for more flexibility. Most flight school graduates, saddled with huge debts, are anxious to accommodate new employers. Cadet pilots can earn just £20,000 a year. ‘Some people are scared of reporting fatigue because they will be told: “It’s obviously a physical problem with you because everyone is coping and you had better go and see your doctor.” ’ says Captain Smith. Stand-by duties — when pilots act as reserve crew to be called on at short notice to cover any gaps in the roster — are a particular problem because pilots must be ready to fly at any point during a long period. There is no way their sleep patterns can meet all eventualities. And if things go wrong, it is the pilot who is likely to shoulder the blame — especially if he or she is dead and cannot answer back. ‘Except for falling asleep there is no signature of fatigue,’ says BALPA’s Dr Hunter. ‘Fatigued people simply look like incompetent people. Flying, in reality, can be a relatively small part of a short-haul pilot’s working day. ‘If you are doing six sectors in a day on short-haul [that’s six take-offs and landings], you might have been in the air for just four and a half hours, but with pre and post-flight procedures that can be 12 hours,’ says Capt Smith. Long-haul can be no less testing. ‘I operated a flight from Europe to the Far East, then about 24 hours later operated back to Europe,’ says one pilot, who must remain anonymous. But pinning an accident solely on exhaustion is difficult when other factors, such as bad weather, are involved. When flydubai flight 981 crashed during a storm at Rostov-on-Don in Russia earlier this year, killing 62 passengers and crew, it prompted the leaking of emails, seen by the Guardian newspaper, from flydubai pilots complaining about fatigue. One warned that the number of hours he was being asked to fly was potentially illegal. ‘I SAY AGAIN. ILLEGAL!!!! !,’ he wrote. 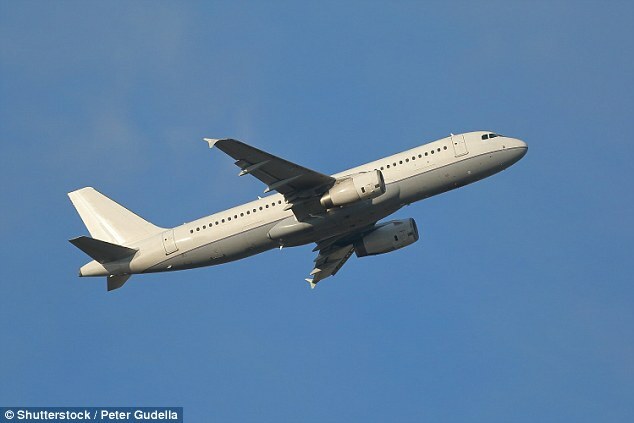 Another accused the airline of ‘sweet-talking’ aircrew into using their discretionary time to fly extra hours. ‘It is unacceptable to apply pressure, however pleasantly it is done, trying to sweet talk a crew into doing something they have said they feel is unsafe,’ he wrote. Flydubai, however, denies ever having asked its crew members to operate outside legally permitted hours. For BALPA’s safety head, Dr Hunter, complying with most legal requirements is not the same as operating a safe airline. An airline may roster pilots so they do not exceed legal time limits. But the timing of shifts may also be dangerous. He is keen, though, not to pin all the blame on the ‘budget’ airlines. So what do major carriers say about their rosters? The Mail asked British Airways, easyJet, FlyBe, Ryanair and Virgin Atlantic to provide basic information about working practices in regard to pilots. Virgin and FlyBe failed to respond, and British Airways and easyJet refused to disclose details of their rosters. Only the Irish carrier Ryanair, Europe’s biggest budget operator, has addressed the issue head-on. BALPA, though, is convinced that fatigue remains a threat to aviation safety. So, when you are six hours into a long-haul flight and your pillow beckons, just hope the two people sitting behind that locked door in front of you are well-rested — and that they are not about to join you in the seductive embrace of sleep.